LONDON (AP) — Video gamers could be competing for Olympic medals by 2024. Paris will be confirmed as 2024 hosts at an International Olympic Committee gathering in Lima, Peru next month after its only competitor, Los Angeles, agreed to take the 2028 Games. 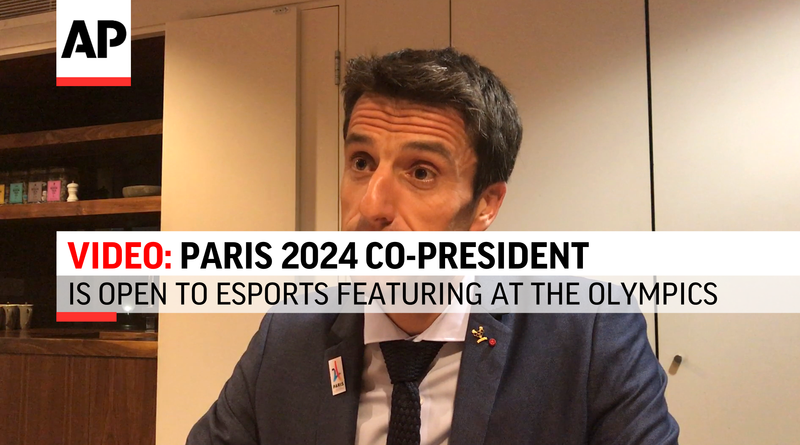 Estanguet believes that a contest of digital prowess should be considered a legitimate sport if the Olympics is to maintain its relevance for new generations of fans. “We have to look at it because we can’t say, ‘It’s not us. It’s not about Olympics,’” Estanguet said in an interview with the AP in London. “The youth, yes they are interested in esport and this kind of thing. Let’s look at it. Let’s meet them. Let’s try if we can find some bridges. The 2024 program will start to be shaped in 2019 with a final decision on the addition of sports in Paris to be taken by the IOC after the 2020 Tokyo Olympics. Paris is gaining the 2024 hosting rights without the usual dramatic vote. The IOC decided to award two Summer Games at the same time and LA later abandoned its bid for 2024 during negotiations with the IOC and Paris. “We feel that we are the winner because we have what we wanted,” said Estanguet, a canoe slalom triple-Olympic champion. Estanguet knows that delivering the Paris Games on budget — as promised — is essential to ensuring that staging the Olympics becomes a more attractive proposition again. “I don’t want to disappoint ... I feel there is an urgency to deliver promises,” Estanguet said. “We feel this responsibility since the beginning when we launched this bid.